In 1993, a group of concerned citizens in Chattanooga, Tennessee, succeeded not only in closing down the city’s abortion clinic, but also in purchasing the building where it had operated. Soon afterward, the National Memorial for the Unborn opened on that site and over the last several years has become a special place for remembrance and healing. Empty Arms tells the story of the memorial and the many lives that have been touched through its ministry. Wendy Williams and Ann Caldwell both serve on the board of the National Memorial for the Unborn. They have seen countless people, struggling with guilt and shame from abortion, come to the memorial and find forgiveness and hope through Jesus Christ. 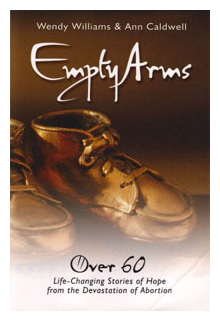 Empty Arms contains 58 letters telling the real stories of mothers, fathers, and grandparents who have been a part of a crisis pregnancy that ended in abortion, and now deeply regret that decision. Each story shares how visiting the memorial helped them release their secret shame and finally live in freedom. Empty Arms also includes ten stories of adoption to encourage this life-giving alternative, even in difficult circumstances. 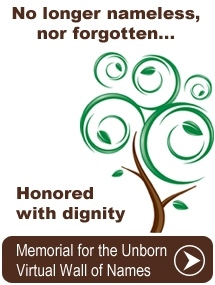 An additional section lists resources such as crisis pregnancy centers, online post-abortion ministries, and locations of other memorials to the unborn. Luke 4:18-19 says, “He has sent me to proclaim freedom for the prisoners and recovery of sight for the blind, to release the oppressed, to proclaim the year of the Lord's favor” (NIV). 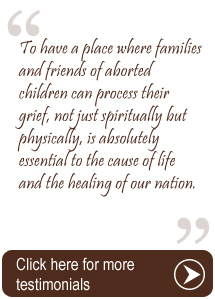 There’s no more fitting verse to describe the mission of the National Memorial for the Unborn and of the powerful book Empty Arms. Wendy J. Williams currently serves on the board of the National Memorial for the unborn. She has lived on a Navajo Indian reservation leading Bible studies, been active in a Christian medical relief program called Chernobyl Children, provided shelter to women in crisis pregnancies, and fostered over twenty newborn babies awaiting adoption. Wendy and her physician husband have four children and are active in the Lookout Mountain, TN, Presbyterian Church. She is the author of Scripture Pictures, with over 2 million copies sold. 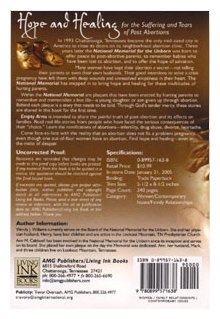 Ann M. Caldwell and her husband have been involved in the National Memorial for the Unborn since its inception. 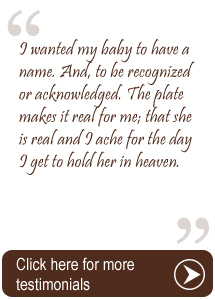 She placed her own plaque on the day the memorial was dedicated. She serves on the board of the memorial. Ann, her husband, and their three children live on Lookout Mountain, Tennessee. She is active in the Lookout Mountain Presbyterian Church. The “History of the National Memorial for the Unborn” tells the miraculous story of how Chattanooga, Tennessee, became the first midsize city without an abortion clinic in 1993. “Experiencing the Memorial” describes what one sees on a visit to the memorial. Fifty-eight actual letters tell the true stories behind the plaques placed on The Wall of Remembrance at the memorial. “Poems from the Wall” are touching tributes to the memories of little ones. Ten stories of adoption illustrate this life-saving alternative to abortion. 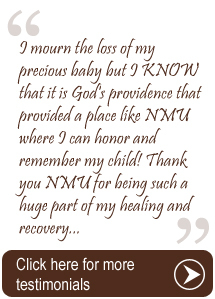 A resources section lists crisis pregnancy centers, online post-abortion ministries, and locations of other memorials to the unborn. Availability: Both Wendy and Ann are available with notice.